I wanted to share a few photos from our recent trip to the Great State of Texas. The main reason to travel to Texas this time was to attend the wedding of our niece. What a wonderful trip it was! The main event was in Dallas for the wedding of our niece Vanessa Gerard to Chris Thompson. Mr. & Mrs. Chris Thompson. A beautiful day at White Rock Lake, Dallas Texas for a wonderful occaision. Luckily, Ava Kalember snapped this shot of us using my camera. Not many pictures can be found of us - ever! Thank you Ava! The entire family out to brunch the day after the big event. Our visit to Texas opened up the opportunity to visit friends that live in Allen Texas (former Kentuckians). That's me along with Laura Goepper Allnut. She will look familiar because she and her husband John wedding pictures on our Studio Walz website. 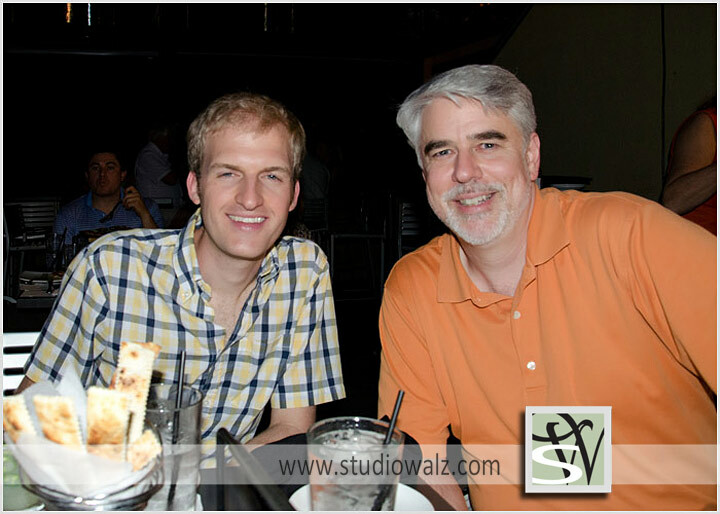 Here is Scott along with John Allnutt enjoying our fabulous dinner on the rooftop at the Urban Crust. 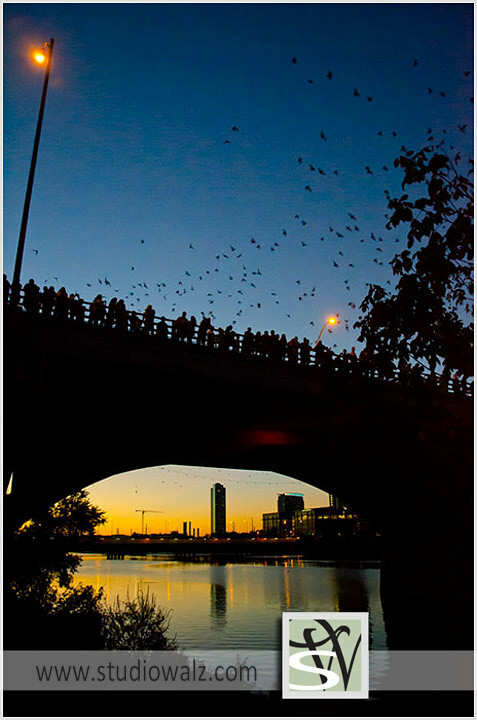 Austin - Bats over the Congress Avenue bridge. Only 1.5 million bats leave their home in the bridge for their nightly feeding. Awesome to see. My wonderful husband! Not many pictures of him are ever taken. I'm glad I grabbed the camera to catch this shot. Scott was busy taking pictures of Evan and Miranda Dolive's family in Orange, Texas (temporarily Kentuckians for a few short years). This is Violet and she can be seen as a baby on the Studio Walz website. This is Reid, Violet's little brother. He is quite a precious little boy. Always a smile on his face. Strangely enough we did not get any pictures of the whole family. The kids had our complete attention. Our last days were in Houston where we stayed with Scott's high school friend Mike Carr and his family. Pictured here is his wife Sue. What a great host they were to us. We threaten to move in because staying with them was like staying at the best B&B ever! Mike and Sue's daughter Ashlynn.